This has been an extremely busy period of high profile activity for the BPF. In a single week the Federation was featured on television twice and also managed to secure a meeting with Chancellor of the Exchequer, George Osborne. Firstly, 'Bang Goes the Theory', a popular BBC1 science magazine programme, explored the relationship between plastics and society and benefited from a considerable body of information provided by the BPF, together with interviews with Product Safety Committee Chairman, Chris Howick, and BPF Member, Chris Dow of Closed Loop Recycling. We provided the BBC's research and production team full briefing on innovative products, the benefits of plastics and our take on some key issues, particularly food contact safety. On this occasion I think we were able to have some influence. The highlight of the week was BPF Director General Peter Davis’s participation in a Channel 4 News feature on March 4th in debate with film actor, Jeremy Irons, over the green paper on plastics waste, which had been launched earlier in the day. Irons has developed a lesser-known career as a maker of documentary films with an environmental twist. Davis dismissed Iron's pressure for a plastic bag tax, pointing to their reuse and recyclability. He was also able to explain to Irons the functioning of the Producer Responsibility Compliance schemes, which raise a levy on packaging manufacturers to support recycling. Irons was unaware of this. Less heady but probably more important, a BPF team eyeballed George Osborne when he visited one of his constituents, Albis Plastics in Knutsford. 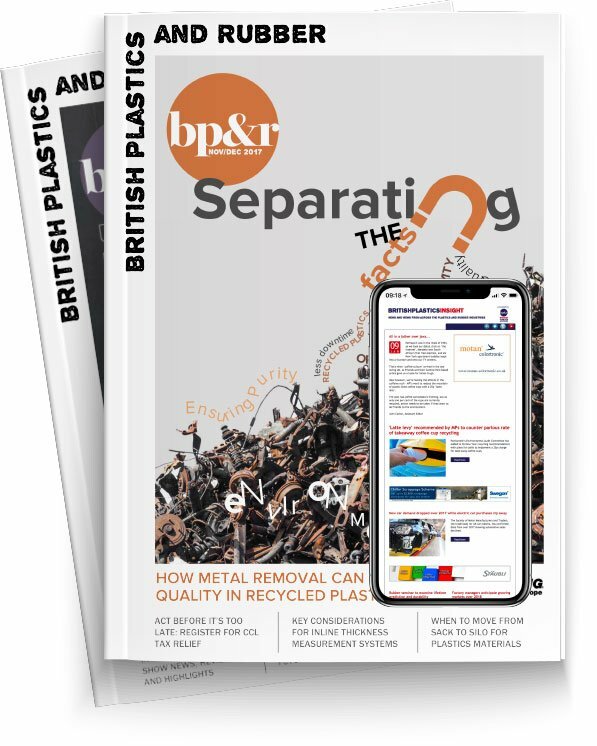 Albis’ Managing Director, Ian Mills, had set the meeting up to discuss the BPF’s Document, “The UK Plastics Industry: A Strategic Manufacturing Sector”. BPF President Philip Watkins joined Peter Davis in pressing our concerns about future security of energy supply and costs adding that that much more Energy from Waste capacity could meet 10 percent of our energy needs from unrecyclables. They asked for VAT on ‘green deal’ plastics products to be reduced to five percent, the cancellation of future fuel duty increases and further reductions in corporation tax. They told the Chancellor that we wanted to see more measures to stimulate house buying by first-time buyers.